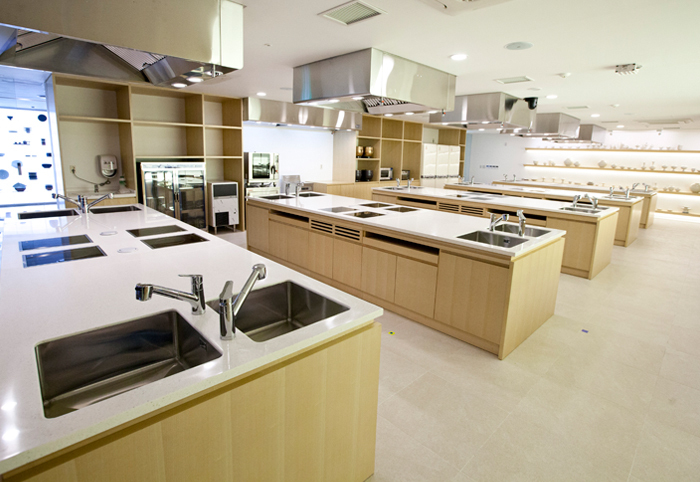 This centerl on the 4th floor offers visitors the opportunity to learn and cook with food ingredients unique to Korea and taste Korean food including traditional snacks and beverages. The hall is also equipped with Hansik (Korean food) Saranbang, which offers various materials related to Korean food. This space offers experiences for visitors to try traditional Korean desserts, rice, jelly and tofu, as well as traditional liquor, tea, and snacks. It is divided into TASTE, which provides traditional Korean food and a modern menu; DRINK, which provides tea, liquor and cocktails; and REST, which provides a rest space for visitors. 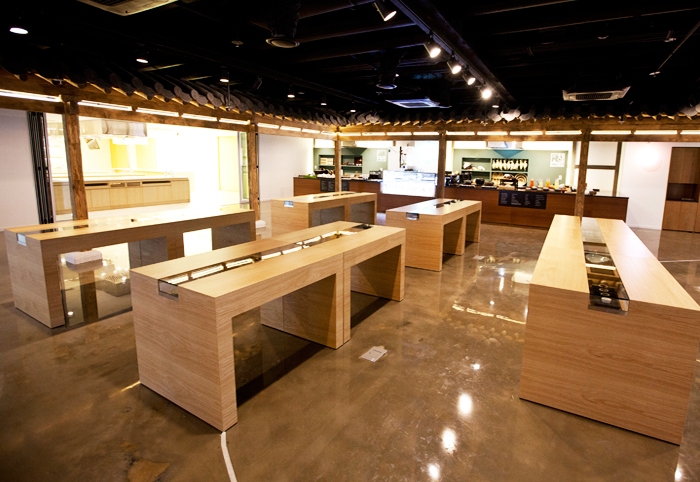 This space is for visitors to learn about the wisdom of Korean food as they personally make various Korean dishes. It provides knowledge and experiences in a fun way and offers various programs, ranging from a Beginner Class (Beg) to an Advanced Class (Adv) and Special Class (Spec) to be suitable for the level of students in the categories of head household food, temple food, and local food. 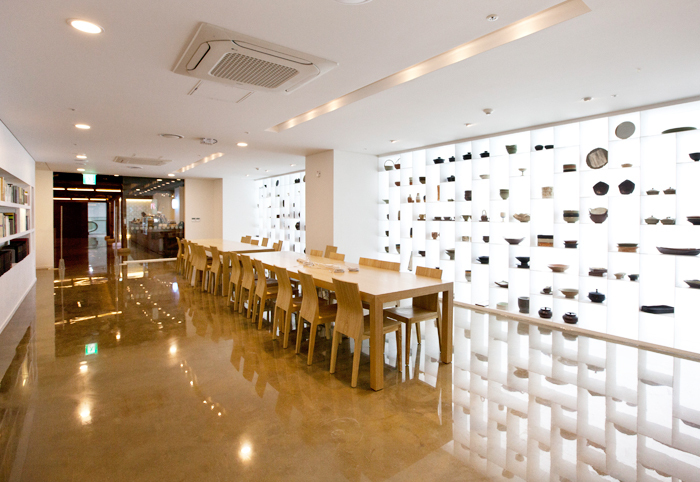 Sarangbang is a space for visitors to explore and share knowledge and information about Korean food and recipes. It is linked to the Korean Archive Search System, which consists of ancient documents and Korean and overseas books about Korean food. Though a PC, visitors can search and share information about Korean food. Korea cooking with Korean food masters. Making and tasting Korean traditional confectionery. Walk-in classes do not require reservation or minimum number of participants. Cancellation or changes must be made at least 3 days prior to day of reservation. Exclusive classes/program available for groups of 20 or more people.